Company Background: From its inception in 1993 MM Electrical has been providing Electrical & Fire Alarm design, installation and maintenance services to London’s business and discerning private clients. Based in Central London Bloomsbury, MME are proud to be the sole fire alarm and electrical contractors based and operating exclusively out of Central London. 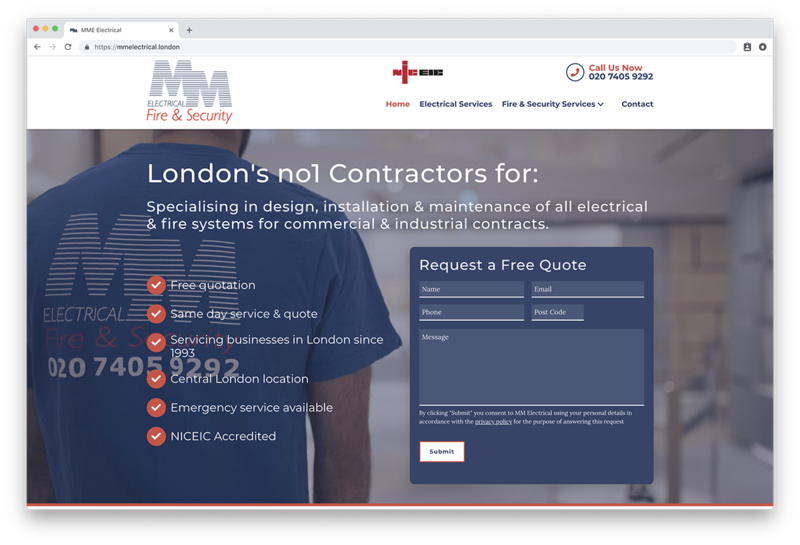 Client Journey with KMG: MME Electrical London approached KMG with a website that ranked outside of the top 100 and with no digital marketing in place. They needed immediate business. KMG’s strategic and creative team brainstormed together the most lucrative solution for them. One challenge was keeping cost per clicks as low as possible but still appearing for “fire maintenance” search queries as well as electrical services. This was naturally a challenge for our relevancy score as they are called MME Electrical London. Another challenge was that the client needed commercial clients only, not domestic. KMG designed two highly converting landing pages for these two main services, then using the data, recognised where the potential was better weighted. We then designed a website using the data from our split test, consulting on the logo, imagery and copy with both a long term (SEO) and short term (Paid search) strategy in mind. Performance: In the first month working with us, MME London made an 18 times return on investment (ROI), which means that for every pound spent, they made £18 back. The client has commented on the quality of the leads driven and has booked huge commercial new business directly off the back of our campaign. The conversion rate has at least tripled and they are now working at full capacity having to turn business away. From an internal structural perspective, they have hired more staff to deal with the demand and are therefore, expanding the team. 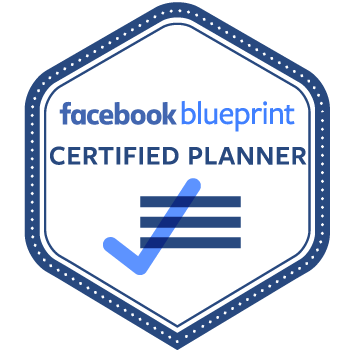 This is down to our tight keyword strategy, ad scheduling and creative consultancy to win bigger corporate clients and none domestic. We are now smoothly transitioning, using the momentum to transfer into a long term SEO strategy which our website is already optimised for. 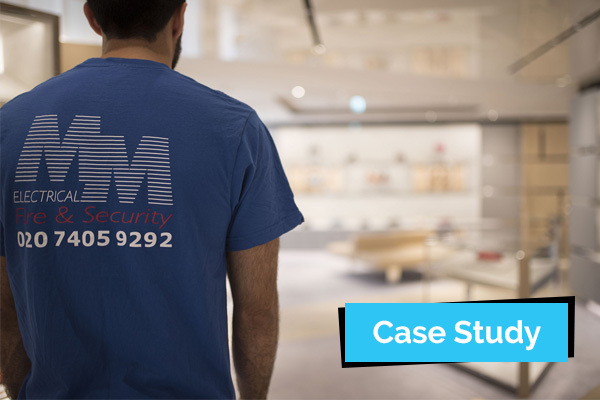 The client trusted KMG from the start, they bought into our performance driven ethos and have reaped the rewards. We look forward to continued digital growth and partnership. Get in touch with KMG to see how we can do the same for your business.